As bad of a fail as drive up ATM machines with braille lettering on the keypad. And now....... the easy way to get up! If you can make it up our steps, you are worthy to join us! Wheelchairs roll out. 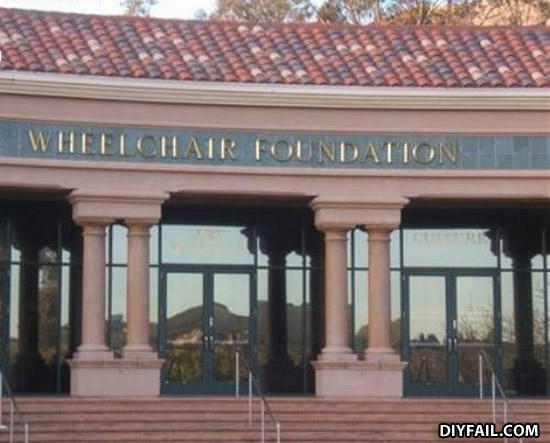 wheelchairs more than meets the eye. Sometimes black people kill other black people.